It’s here! It’s LIVE! And it’s ready to be read! I’m super excited about this novella. For years it rattled around my brain, but last year I finally figured out the best way to write it. So it’s a long time coming, but it’s finally here and I hope you love it! A DAUGHTER’S HEART is a sweet combination of past, present, and future—the kind of story that only a talented writer could pull off! Leanna Ellis once again weaves a beautiful story of a Father’s patience and hope as He holds out love and waits for His child to embrace it and come home. But it isn’t just any story. It’s everyone’s story. Maybe it’s YOUR story. This day deserves a celebration! 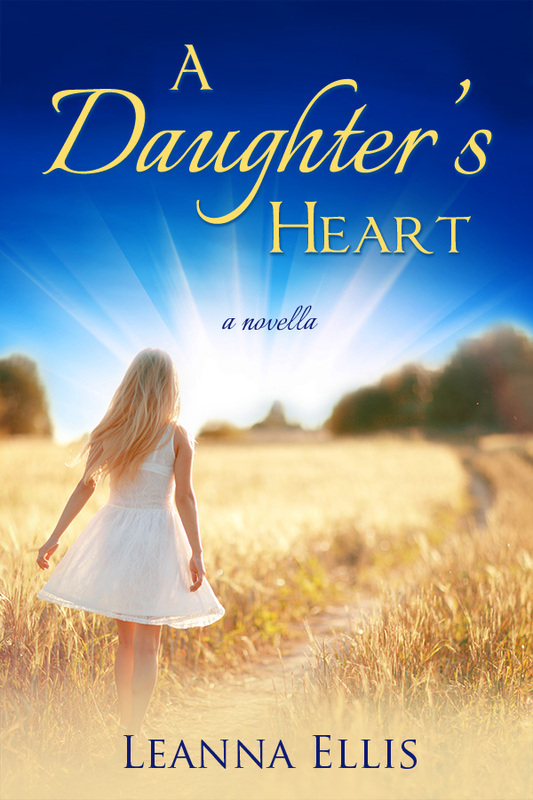 So let’s give away a copy of A Daughter’s Heart. 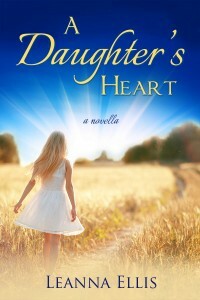 If you would like to be entered into a drawing for a Kindle edition of A Daughter’s Heart, please post a comment! I’ll make a drawing Friday! This entry was posted in Amazon and tagged Christian fiction, coming of age, inspirational fiction, Lovely Bones, mother/daughter story, novella, Sixth Sense, The Shack on August 19, 2014 by leanna. It was a cold night in the Texas Panhandle, and I was a little girl going to the rodeo with my family. This was not a slicked up rodeo but a nitty-gritty rodeo out in the country with real cowboys, some of which were my older cousins. I remember sitting on one of my cousins’ laps. She already had children of her own but she helped warm me up on that chilly night as we watched the cowboys rope steers and ride bulls. Maybe that’s where my love of cowboys began. 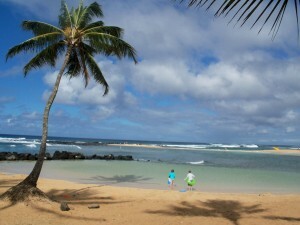 Because most of my cousins were many years older than me, I didn’t know them well and simply watched and admired them. My dad also raised me on John Wayne movies. My favorite movie growing up was True Grit. Just the opening song could get my blood pulsing. As I grew up, I fell in love with country music. One day, I was driving around Dallas, to and from work, listening to Rodeo by Garth Brooks when a character came to me. He was wearing chaps and boots and he had a slight stutter. I immediately fell in love with Kirk and had to write his story, Strong, Silent Cowboy, which became my very first published book. So began my writing career, which started with writing about cowboys. I love cowboys’ strength, ingenuity, traditions, and love for nature. I love that they are real men, with a bit of swagger, but also a touch of humility. They know God created the land and bow their heads to pray. I’m proud that I know real cowboys, and I’m blessed to have been able to write about them. Christmas in July was my second published book and a sequel to my first. 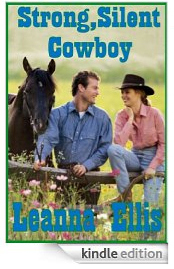 This book features not only a cowboy but also a cowgirl–a barrel racer. These girls have courage and big hearts. Geena, a young widow, has more than her share but she also has a wall around her heart that the right cowboy is going to have to jump. Finally, my latest release, For the Love of Cody, is actually a re-release of my 5th book. It garnered the National Readers’ Choice Award when it was published. Since then, it went out of print but I gained the rights back to it and recently brought it out as a Kindle ebook. But now, it’s also available in paperback! You can click on the titles of my books to find out more about them. So for a long while, my heroes have always been cowboys. Next year, I’m publishing a brand new cowboy story! Hope you’ll hang around until it’s ready. So what about you? Do you love cowboys? Country music? Western movies? 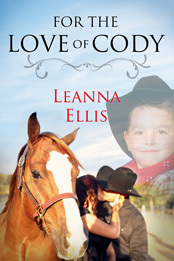 Contest: For a copy of the paperback For the Love of Cody. At the end of this week, I’ll draw a name from those who leave a comment below for a winner. 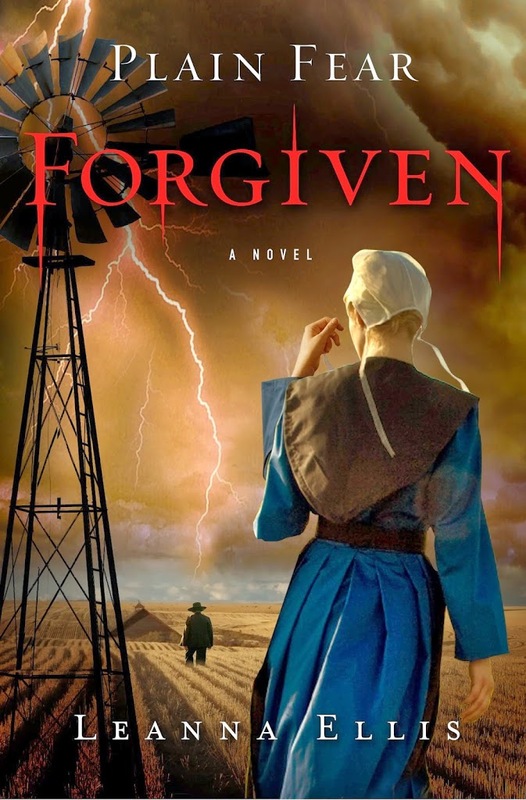 This entry was posted in book giveaway, books, christian author, Christian fiction, cowboy, cowboy romance, ebooks, giveaway, heartwarming, heroes, horse, inspirational fiction, Leanna Ellis, rodeo, romance, summer reading, sweet romance, Texas, Uncategorized and tagged award-winning, cowboys, Garth Brooks, heroes, inspirational romance, romance, sweet romance, westerns on July 7, 2014 by leanna. My website has had a facelift! 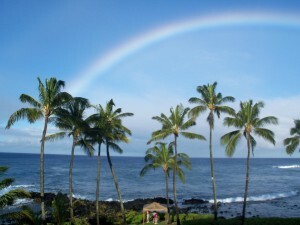 So welcome to the new blog area too…or as I like to call it my back porch, where we can sit and talk about our favorite books (or occasionally even mine! ), gaze at beautiful scenery, chat about life and love, swap recipes, and explore topics of inspiration. Khalil Gibran once said, “When you are joyous, look deep into your heart and you shall find it is only that which has given you sorrow that is giving you joy. When you are sorrowful look again in your heart, and you shall see that in truth you are weeping for that which has been your delight.” Walking alone, enjoying beautiful scenery, or even reading a great book, in my experience, is even more enjoyable when it is shared with others. The path of sorrow or pleasure becomes steeper and more difficult when one is alone. Thankfully, we don’t ever have to be alone as God, our heavenly Father, is always with us. Family and friends can also lighten the load, making the music of our lives sweeter, the smiles brighter, and our days more delightful. Let me pour you some hot tea…or a big glass of sweet tea. Kick off your shoes and make yourself at home. Let’s share our hearts and search for rays of sunshine and truth. 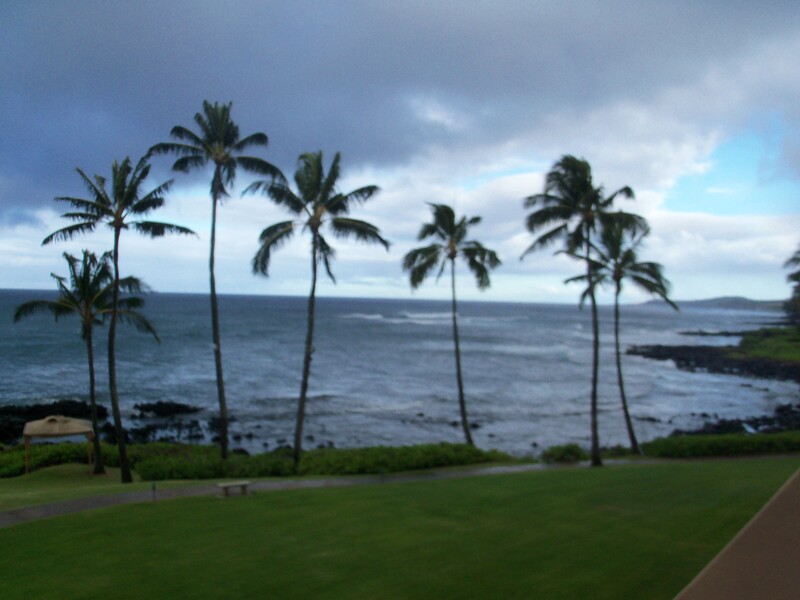 Be sure to come back as often as you like! This entry was posted in Uncategorized on June 30, 2014 by leanna. Goodreads Giveaway! A great summer read! Giveaway ends June 14, 2014. 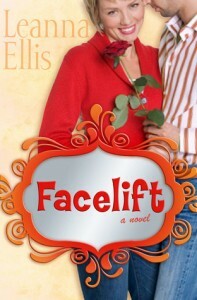 This entry was posted in Facelift, giveaway, goodreads, inspirational fiction, summer read, sweet romance on June 2, 2014 by leanna. Scones! 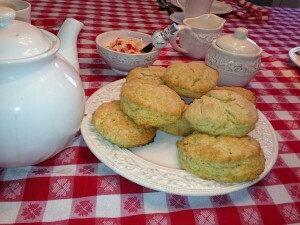 There is nothing better on a cold afternoon than hot tea (Earl Grey or Yorkshire) and scones. My hint: add a little extra heavy cream…or maybe a little more. It keeps the scones nice and moist. On the side, serve butter at room temperature, mixed with a couple of tablespoons of powdered sugar. 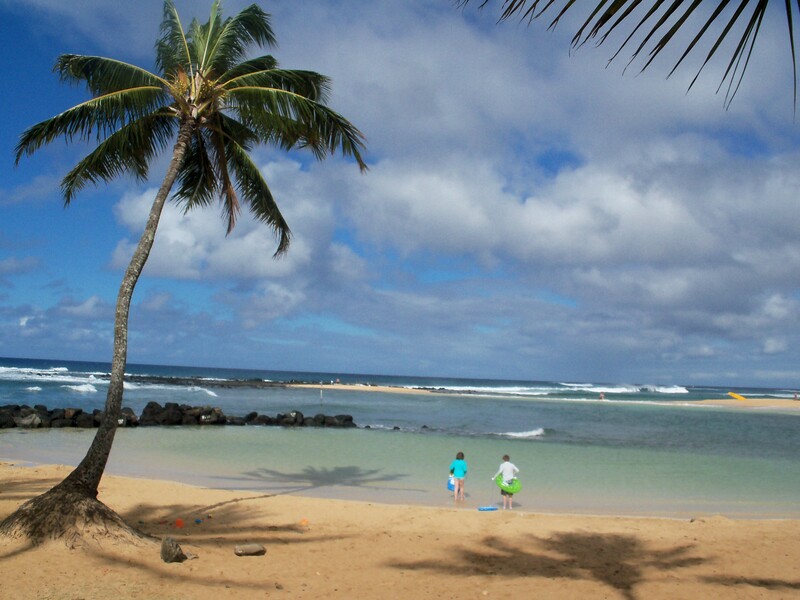 This is a great way to great your kids after school. It’s fun to sit around and chat about our day. Pineapple Upside-Down Cupcakes! Let me just say one word: YUM! Child-tested, these cupcakes were a huge hit! You can serve these with hot tea or iced tea, depending on the weather. These are my kids’ favorite scones. 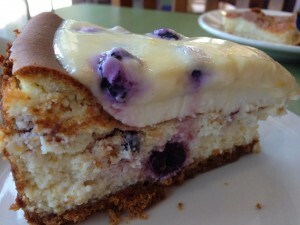 I love to make these in the summer with fresh blueberries. Again, my hint: add a little extra heavy cream. Serve with iced tea or lemonade. 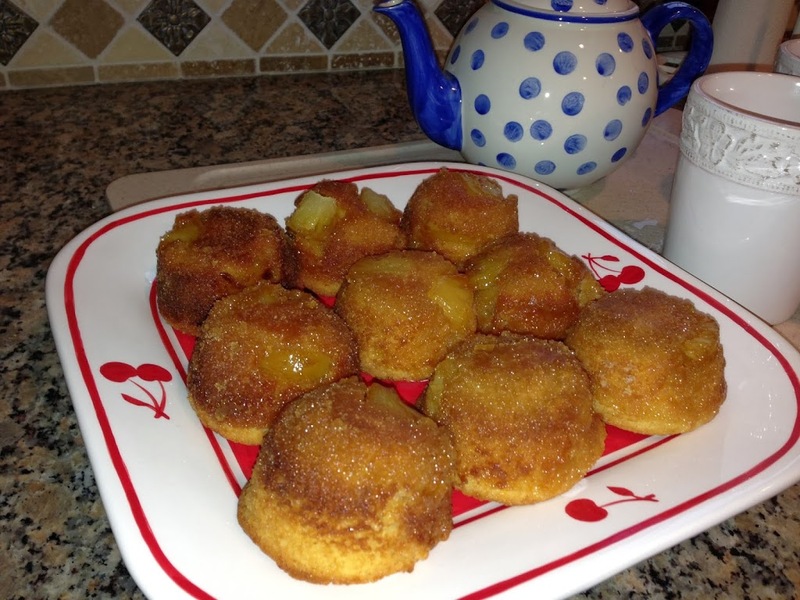 This entry was posted in art, conversations with children, cupcakes, homeschooling, poetry, recipes, scones, sharing, tea on May 24, 2014 by leanna. 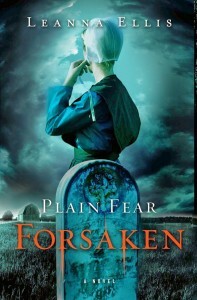 This week, I was informed that PLAIN FEAR: FORGIVEN had been chosen for a special promotion by Barnes and Noble. It goes on sale today as a NOOK book. Samuel Fisher committed a sin of biblical proportions—he killed his own brother, Jacob. Samuel’s guilt overwhelms him as he struggles to understand the choices Jacob made which led to his death. Haunted by doubts and questions, Samuel starts down the same dark path of destruction. In the gripping final battle between hunters and vampires, Samuel must choose where his loyalties lie. 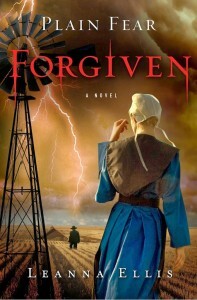 The decisions he makes not only threaten the lives of those he loves, but determine if he will ultimately be forgiven. 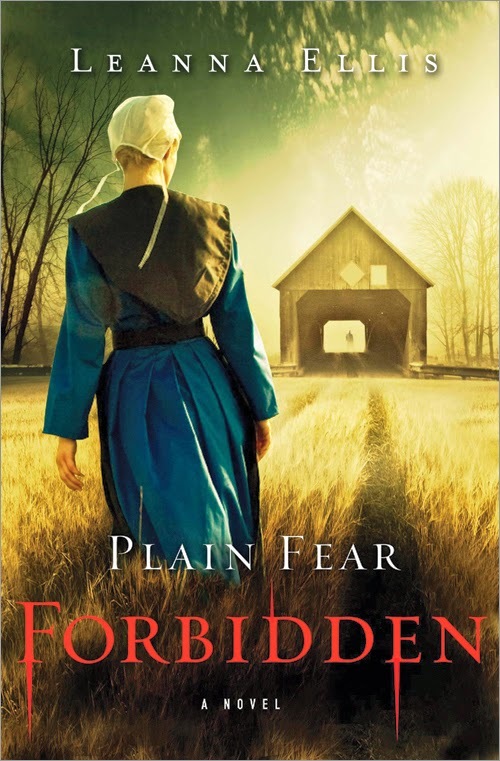 I hope you’ll help me make PLAIN FEAR: FORGIVEN a big success during this special promotion! Thanks for all your support! Giveaway: To celebrate this promotion, leave a comment below and I’ll draw a name of a winner to receive the paperback copy of PLAIN FEAR: FORSAKEN and PLAIN FEAR: FORBIDDEN, the first two books in the series. I’ll draw a name on Monday, April 7th. This entry was posted in Amish, Amish fiction, Amish/vampire, book giveaway, inspirational fiction, Nook books, Plain Fear series, Plain Fear: Forgiven, sale, special promotion, Vampire/Amish, vampires on April 5, 2014 by leanna.